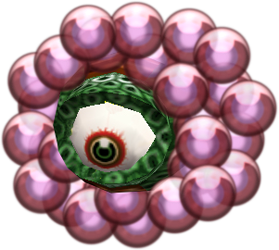 Wart is a mini boss from Zelda: Majora’s Mask and appears there in the Great Bay Shrine as well as in the Secret Shrine. He is actually an recurring boss who made his debut in Zelda ALTTP already, but in western versions of the game he is called Arrghus and his old look is different from his Zelda MM design. 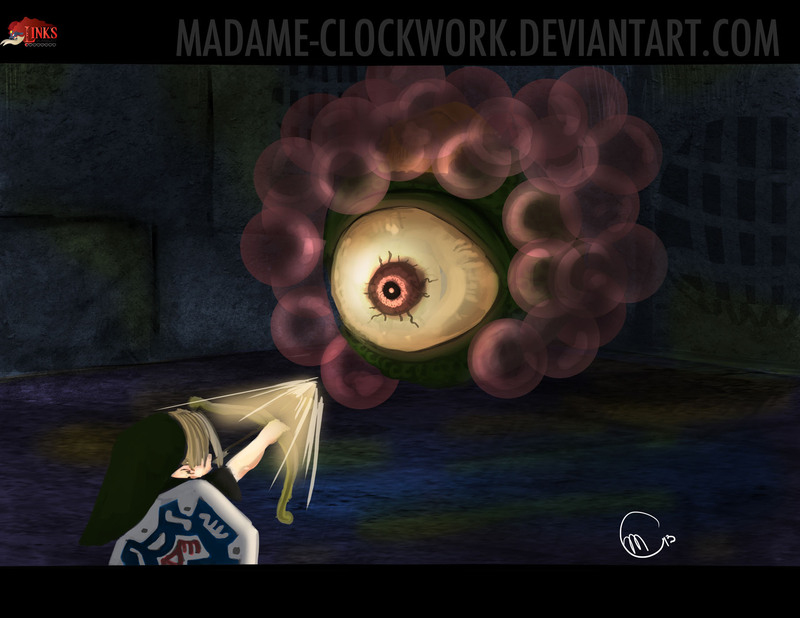 Like in in the old battle with Arrghus it is needed to take down the many bubbles which are protecting the big eyeball, when the bubbles are gone, Link can use his bow to shoot arrows at Wart and beat him finally.